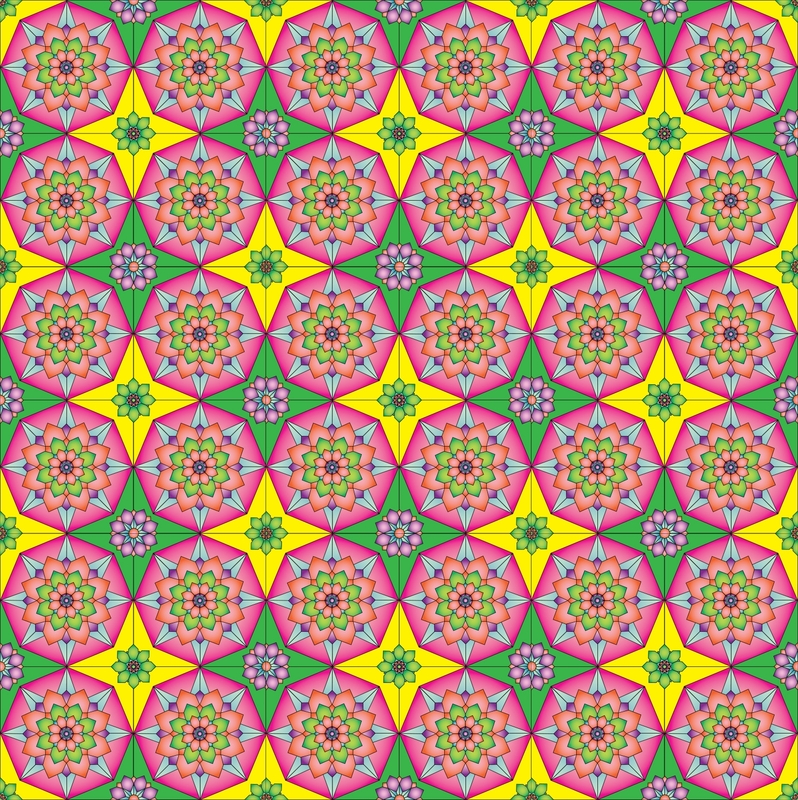 This patter contains multiple patterns in colors, within one pattern, to make a much larger pattern. There are colors that fall under same color hues of pinks, and oranges. They all also fall under the same value, due to being under the same color schemes, and saturations. These colors also are considered to be in the same temperature, in regards of brightness and exposure of the color. These colors are complementary of each other due to them being near each other on the color wheel. The pattern also contains primary colors, which also complement each other. The figure does play a role in the color interaction we are seeing, because there is patterns with the colors that helps make the pattern more clear.